Businesses, organization, institutions, etc. use simple forms to gather information from people. 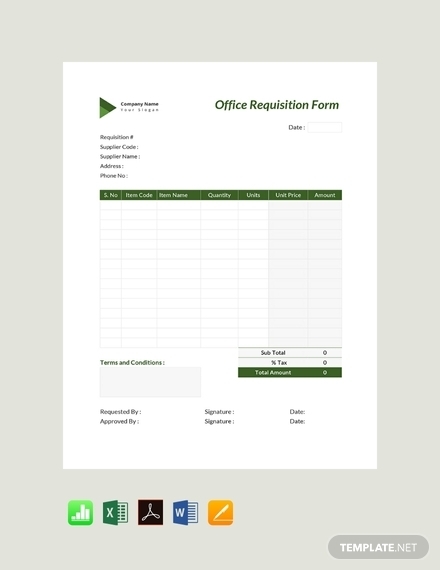 Forms are flexible documents that can be tailored to achieve the purpose they are made for. They are used to gather basic personal information, answers to specific questions, and opinions from respondents; it can be made to help you efficiently acquire what you want from other people. 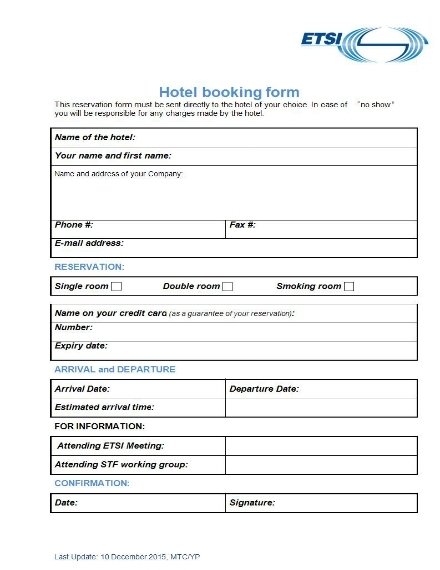 A form can be a useful tool when you want to gather answers for the same questions or categories from a lot of people. They make collecting information more efficient and precise. However, it can only be an effective document when it is created properly. 1. Heading: The heading of your form should be directly related to what it will be used for. 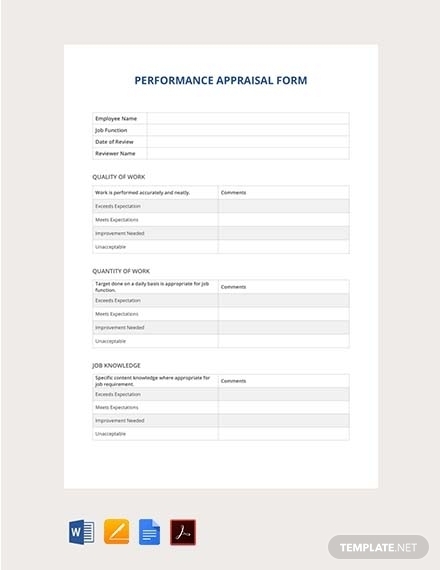 For example, a form used for gathering information from applicants is called an application form, while forms used to evaluate a matter are called evaluation forms. Form headings are clear and direct, informing users what the form is for and translating why it is necessary. 2. Description: Underneath the heading should be a brief description regarding the form, its purpose, and necessity. The description can explain how the information the writer has written will be used, if information will be distributed or not, and so on. 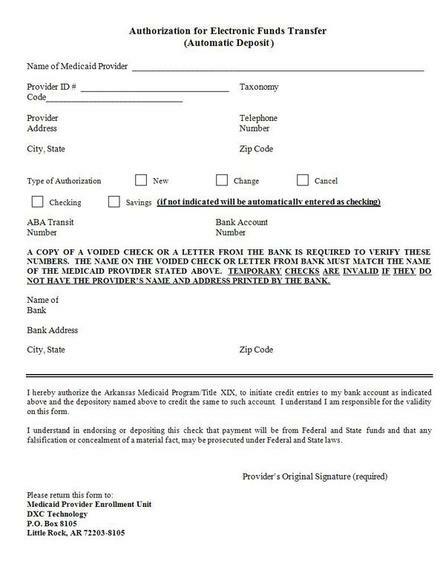 It can also include a brief instruction on how to effectively and efficiently fill out the form. 3. Writing fields: A form can only be a form when there are specific fields that the writer has to fill out. The writing fields are essential since this is where all the information will be written. Most forms use a box-shaped writing field to ensure proper separation of data to keep the form tidy and efficient. 4. Labels: The labels for each writing field tells users what specific information to write. This helps you gather information more efficiently since the labels subtly instruct users where to put certain information. 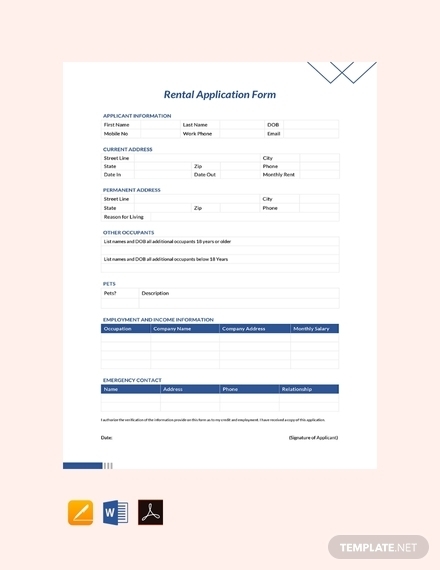 At the same time, this ensures that you gather all the data that you need.You may also see employment application form examples. 5. Lines: If you think lines are not useful, you are mistaken. Lines ensure that your fields are separated neatly. Lines help you divide space, direct the writer’s eyes, create a flow, and organize all the design elements in your form. In addition, it tells users where they should start writing and where it ends. 6. Space: When your form looks overcrowded, it also looks messy; thus, it is always important to leave some space between the writing fields. 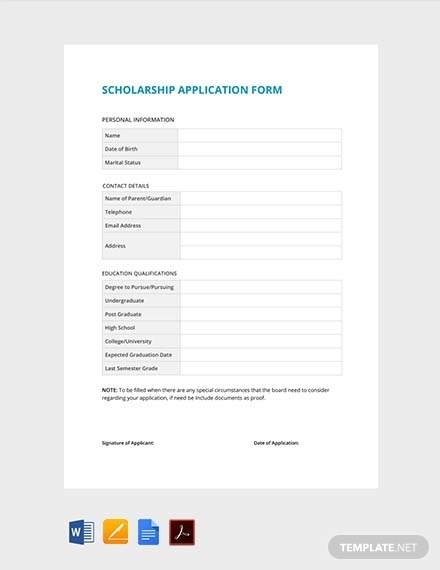 White space allows your form to look more open and easy on the eyes which will ultimately affect the writer’s mood and eagerness when filling out the form. 1. Open the developer tab: After opening a new document in Word, go to the File tab and click Options. After clicking the Options tab, a new window will open where you can choose form various options. In this case, select Customize Ribbon. Next, go to the list under Main Tabs, then choose the Developer checkbox, and click OK.
2. 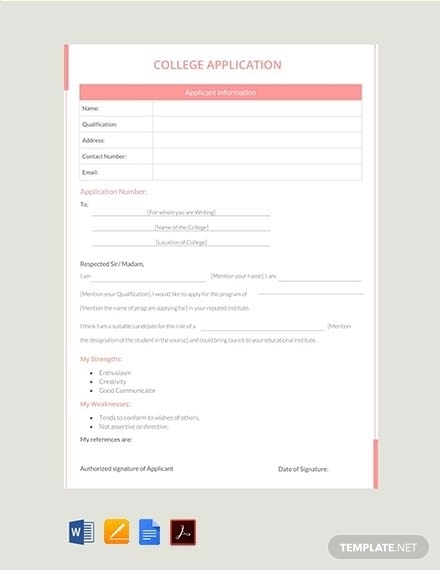 Create a form template: A form can be tedious to make since it can have one to many boxes or writing fields depending on what information you want to gather. Thus, using a form template will help you avoid wasting too much time. To use a template for your form, go to the File tab and click New. After that, you will see a dialog box to Search online templates; you can immediately type and search for the form template you are looking for, then click Enter. Choose your preferred template and click Create. 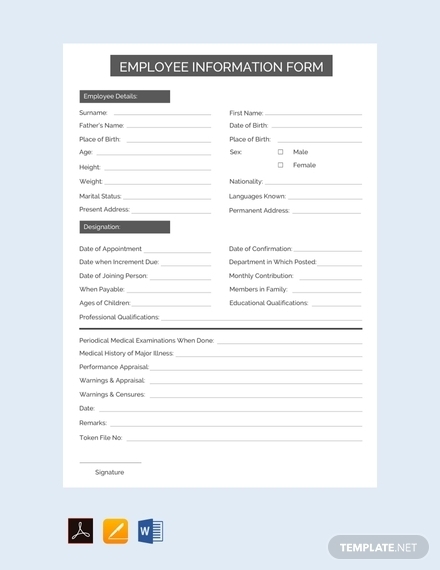 You may als see employee information form examples. 3. 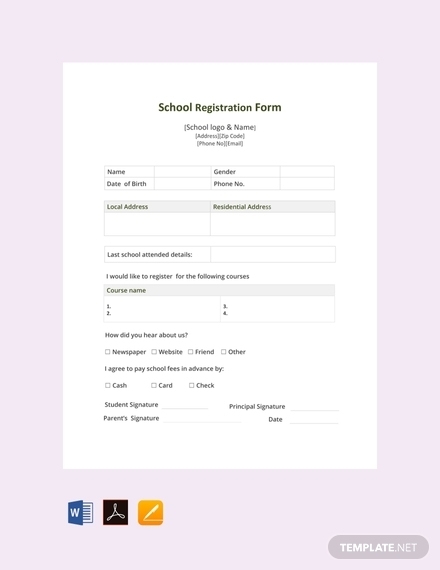 Add text on the form: Once you have the template for your form, you can immediately proceed to adding your content. To do this, go to Developer tab and click the Design Mode. Doing this will allow you to add the content for your form heading, date, and other information. In addition, you should also add text control in these sections so that users can input their information, which must also be limited accordingly. To do this, go back to the Developer tab and select Plain Text Content Control or Rich Text Content Control. 4. Adjust properties for content control: Aside from setting controls for the text your users can input, you can also set controls for other parts of your form such as the heading, date, description, etc. 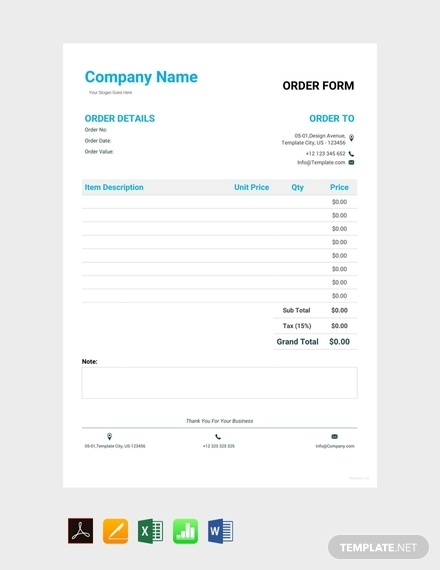 This will help you adjust the texts in your form to achieve the overall layout and design that you prefer. For example, if you want to change the format or attach an image, you can do so by setting property control. To do this, go to the Developer tab, then click Properties to select the properties you want. 5. Add instructional text/description: Be sure to add instructional texts or descriptions to your form. Since you are using a template, you can change the default text by going to the Developer tab and clicking Design Mode. Then, click the content control where you want to revise the placeholder instructional text, edit the placeholder text and format it as preferred. To save what you have edited, go back to the Developer tab and click Design Mode to turn off the design feature. 6. Set form protection: Once you have everything in place, you need to make sure no one aside from the authorized individuals can change and edit the form. All you have to do is to go to the Home tab in the Editing group, click Select, and then click Select All. Alternatively, click the document and press CTRL+A. In the Developer tab of the Controls group, click Group, and then, if prompted, click Group again. 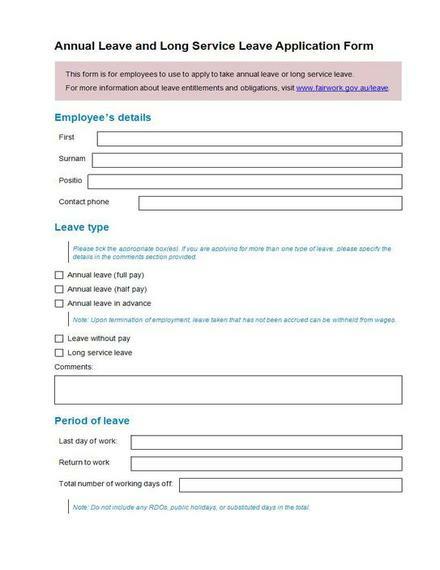 You may also see hr form examples. Do not forget to put a heading to make the form more professional. Including a brief description can help the writer understand the purpose of the form. Make sure that you include instructions on your form; make it direct and clear. The labels on your form should be straightforward. Give the writer enough space to write their answers especially when you expect lengthy answers. 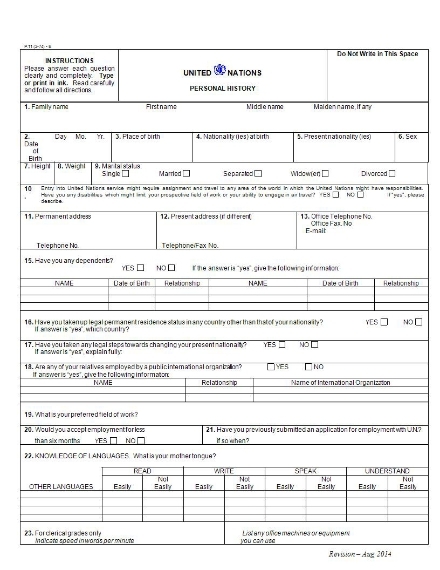 Use a proper and clear format for your form. Incorporate necessary design elements to help ensure that the appearance of your form remains neat and tidy. It is best to include a brief ‘terms and conditions’ at the end of the page to keep users informed. Always proofread and edit before distribution. Paper form: A paper form is the traditional type of form. Although it is quite old fashioned, it is still used to this day to efficiently gather information. 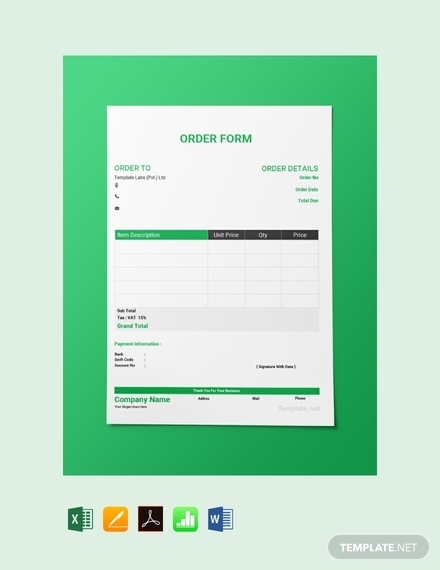 A paper form is basically a printed form that is distributed to a mass audience. It is manually filled out with a pen, pencil, or marker. 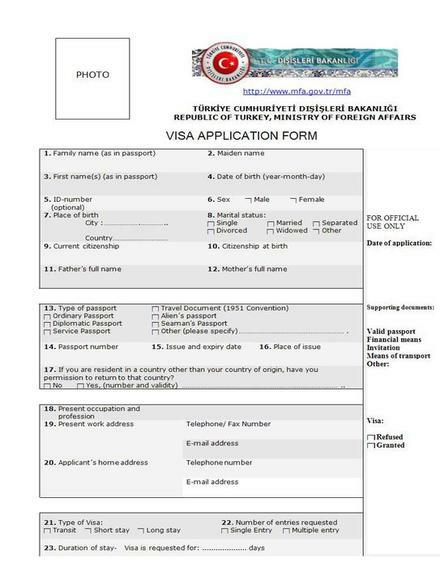 Online form: On the other hand, an online form is made and filled out online. The most common example for this is a survey form. It’s quite common to administer a survey and distribute forms online since it is more efficient and cost-effective compared to a paper form. What are the benefits of using a form? Using a form for gathering information is more efficient compared to personally asking questions yourself. The form also allows you to have a standardized and uniformed set of questions in order to garner answers to help you compare things better; this is mostly relevant to survey-related forms. Overall, a form offers efficiency and accuracy in collecting information. Are online forms easy to make? Online forms are fairly easy to make. There are many applications that allow you to make forms for online distribution. For example, you can make a form through Google Sheets and you can also conveniently send the form to respondents through email. What’s great about online forms is that they offer a quicker and more precise way of gathering information; all you have to do is send the link and you can easily tabulate the answers online, too.